I’m so excited to start sharing our fall 2018 weddings with y’all! This was the first one, and it was romantic, dreamy and perfect. 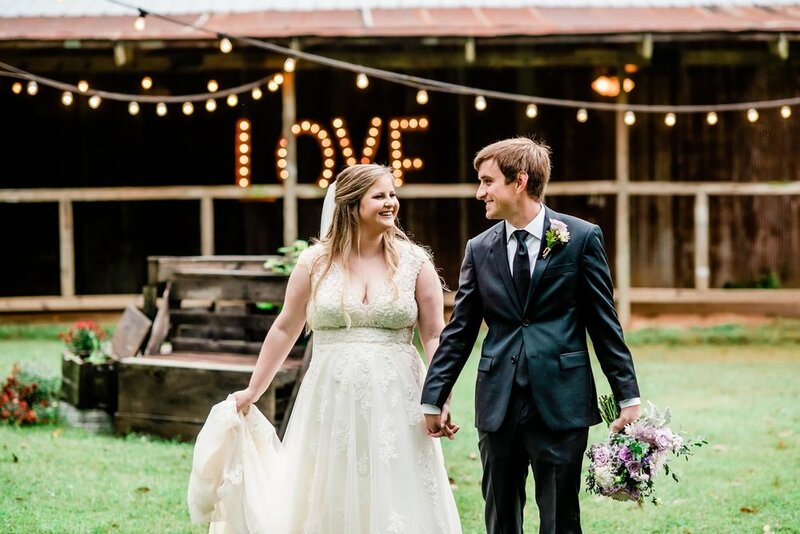 It rained on Beth and Christian’s wedding day, so their ceremony had to be moved indoors, and honestly… that made it more magical and gorgeous than ever! 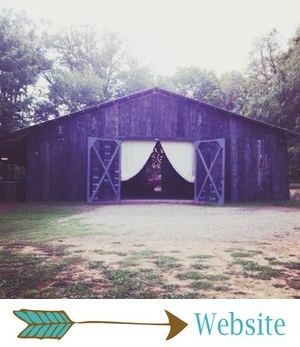 They had a sweet, intimate ceremony underneath the twinkling chandeliers inside The Barn, and it was the most romantic thing we could have imagined. 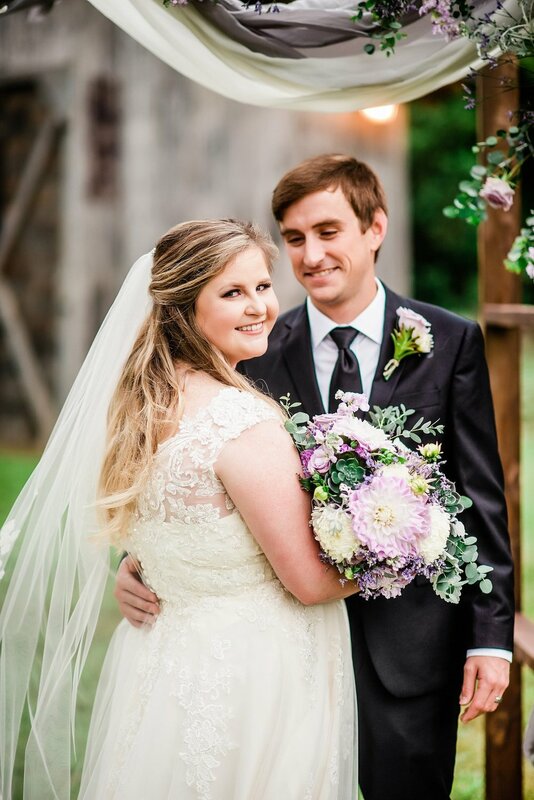 We adore these photos by Kayleigh Ross Photography, and we hope y’all love this wedding as much as we did! Beth and Christian were married at The Barn at Twin Oaks Ranch on September 23, 2018. Their color palette was the prettiest combination of purple, dusty greens, gray and silver. Their details were beautiful, romantic, elegant and timeless. There were a few rustic touches, too, and they all created the most magical wedding. Beth’s bouquets and floral arrangements were stunning! Carnations, mums, the most out-of-this-world dahlias, roses, succulents and greenery made the prettiest purple bouquets ever! The sweetest purple flower crowns for two adorable flower girls! We were so in love with Beth’s bridal gown from Low’s Bridal. The silhouette was gorgeous on her, and the stunning detail on this dress was insane. 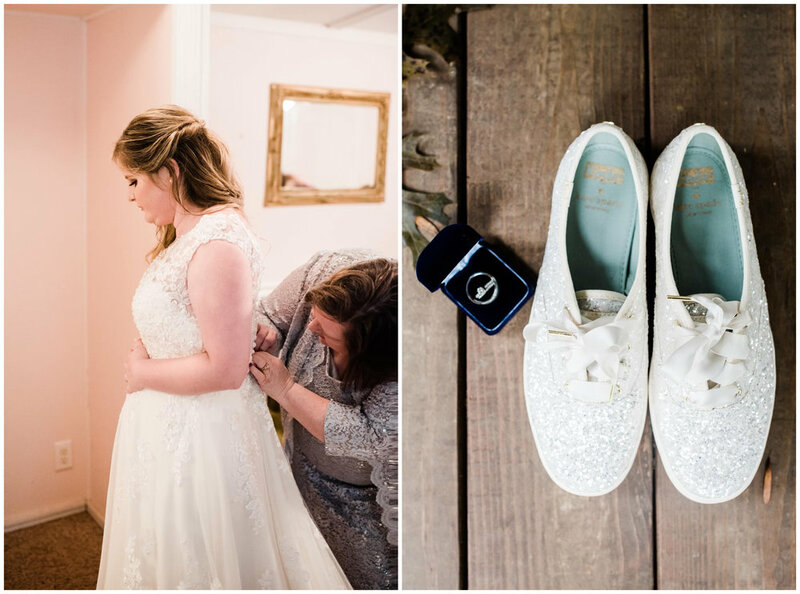 We loved the romantic hairstyle she chose and the sixpence she wore on her sparkly Kate Spade sneakers! She was such a joyful, glowy bride! 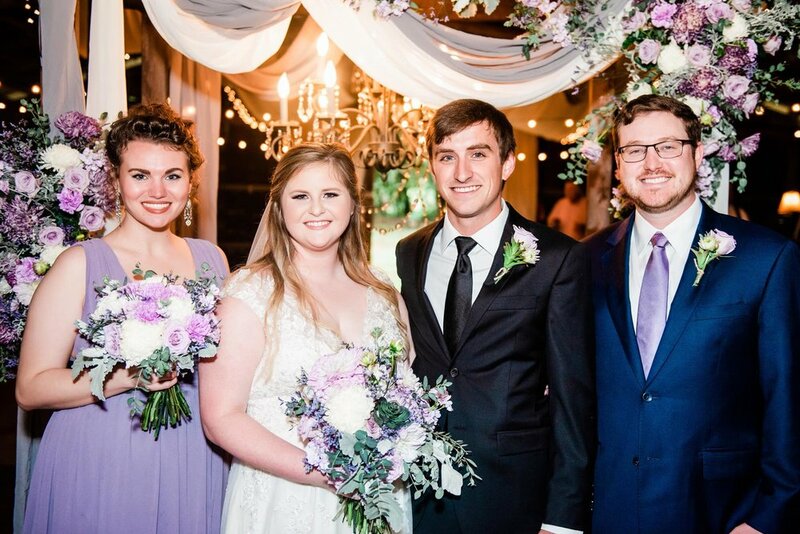 Beth’s maid of honor wore a beautiful, romantic dress in the prettiest shade of purple from Lulus. Christian looked so handsome in a classic black suit, and his best man wore navy and a purple tie. We really love tiny bridal parties, and this one was just pretty. She and Christian had planned to exchange their vows outside, but rainy weather pushed their ceremony indoors. And it truly couldn’t have been more beautiful or romantic! The rain let up long enough for them to have a few photos together outside though, and they are some of my favorite photos of this day! Sigh. So, so pretty out here, even on a dreary day! Our team moved their beautiful altar back inside The Barn and placed it in the middle of the dance floor, with one of our gorgeous chandeliers lowered so it would hang in the middle of the altar. Beth and Christian’s ceremony was intimate and sweet. They were surrounded by their family and closest friends. And it was seriously the most romantic, dreamiest ceremony ever! Beth and Christian had an adorable naked cake (with a delicious chocolate drizzle), topped with pretty purple flowers. Their cake table was elegant and a little bit rustic, with a purple tablecloth and a rustic wood door backdrop. They brought custom champagne glasses and an adorable personalized cake server set. We loved those little details! The newlyweds haven’t gone on their honeymoon just yet, but they plan to go to St. Thomas in December!